This is a Rookie Booking post, and targeted squarely at #101 Level Travelers. Today I’ll step through exactly how to book AA flights with Avios on BA.com. I’ve talked a lot about booking with Avios here on Milenomics. An excellent companion post to this one would be “Avios Booking Tool, the AA Award map” which can help you to find dates and flights that we will then book with our Avios. 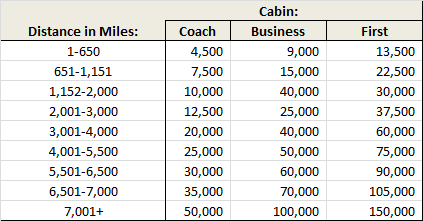 Because of these tiers, most nonstop flights on AA Metal will be cheaper with Avios than booking them with AA miles. Any nonstop flight between 1 and 3,000 miles (distance) will be 12,500 Avios or less. 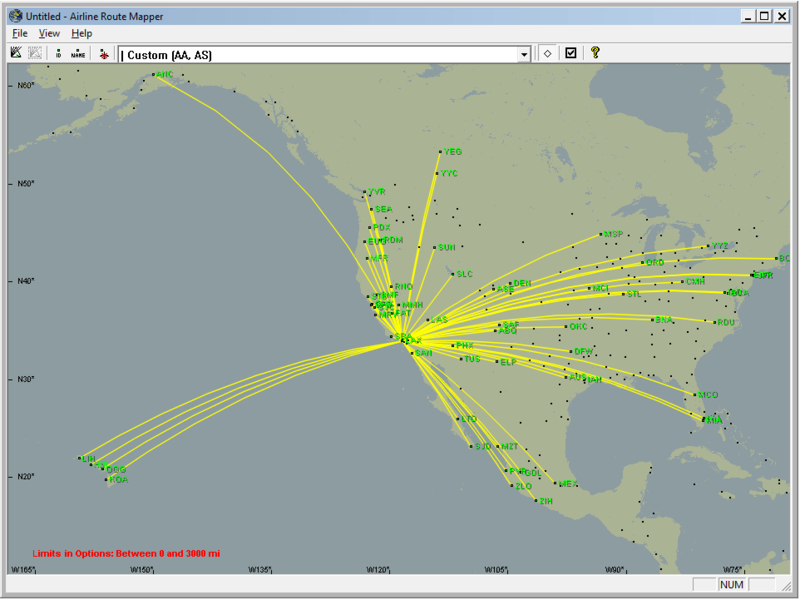 As you can see there are quite a lot of possible destinations to use your Avios. 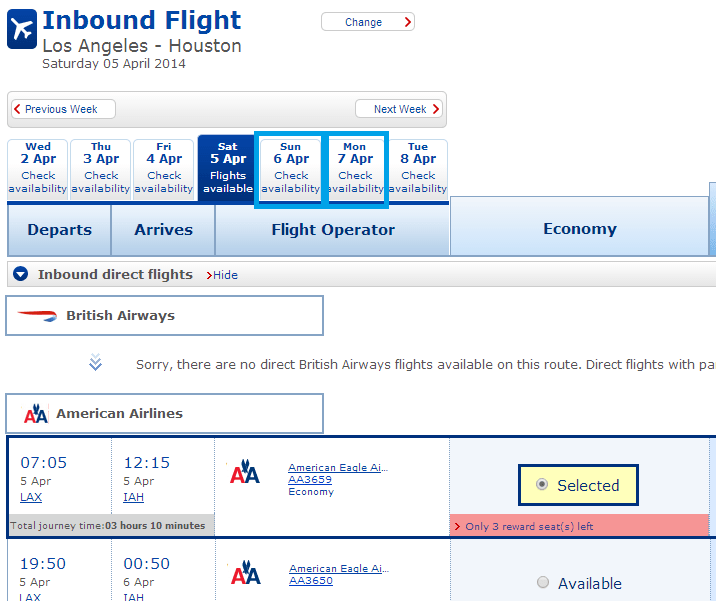 If you plan on flying AA flights look to book with Avios on Britishairways.com. Doing so will save you up to 8,000 miles. In addition, booking domestic AA flights with Avios can preserve your AA miles as a part of a Mileage Conservation Strategy. Before you start filling in the search make sure you select “Book with Avios” from the dropdown menu. Once you’ve selected both an outbound and a return flight a floating “Journey Summary,” will pop up. This Journey Summary will update as you select different flights. The journey Summary is a quick way to see how many Avios you’ll need for your chosen flights. Each segment you fly adds to the cost of a trip with Avios. If I were to pick an IAH-DFW-LAX flight I’d pay 4,500 for IAH-DFW, and then 10,000 for DFW-LAX, this would increase the Journey Summary above to 24,500 avios. From there, once you click continue you’ll input traveler information, and pay for the small $2.50 per segment fees. Despite what you’ve heard about Avios always meaning high fuel surcharges, flights on AA and AS in the United states are surcharge free. For these reasons, and many others I awarded Avios the coveted “Best Program for First Time Users of Miles” title last year. As much as I love Avios, there are times when booking with them can be frustrating. Some of that is due to issues with the BA site itself. This is by no means an exhaustive list, but there are some things to watch out for when using the site. Selecting March 13th on the small calendar will feed 13/03/14 into the search box–which will then return an error. When you’re changing dates you’ll want to manually enter them instead of using the calendar. Also, remember that the calendar on BA.com starts on Monday, so be careful about the days you choose. Britishairways.com won’t show this flight. Why? Because it isn’t the shortest route between DCA and CUN (which happens to be via MIA). DCA-MIA is 7,500 avios, MIA-CUN is 4,500. 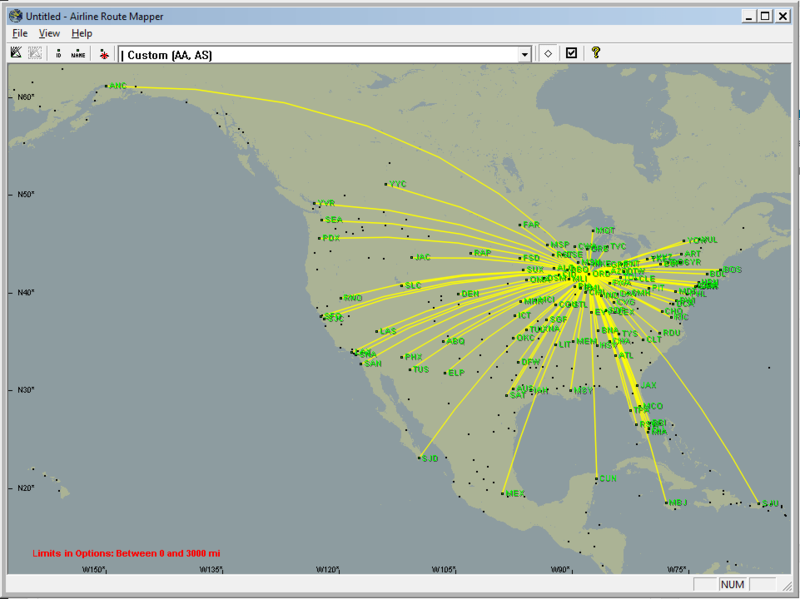 DCA-DFW is 10,000 Avios and DFW-CUN is 7,500 Avios. BA.com is defaulting to the lowest priced routing via MIA. 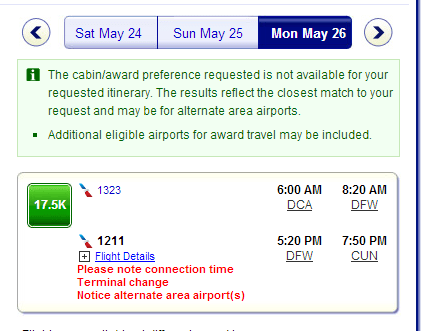 If you did a segment by segment search on BA.com for DCA-DFW and then DFW-CUN you’d see space on each flight. Unfortunately, there’s no way to force the DCA-DFW-CUN connections. You could argue that BA is trying to show only the cheapest flights between DCA-CUN, however by doing so they’re actually making it appear that there are no flights. Similarly, if you’d like to build in a long stopover there isn’t a great way to do that over the website either. BA Defaults to same day/earliest next day connections. If you’re looking to spend a night or two somewhere you’ll have to book as two separate one way flights. The solution to these issues is to call and book over the phone. Stress that you couldn’t book this flight online and ask for the phone booking fee to be waived. BA is very good about waiving that fee for issues like this. 3. Certain Airports Don’t Exist. Things have improved on this front in the past few months. Airports which didn’t exist on BA.com (LIR, SUX to name two), now are working. But I’m sure there are others which will return the error, “BA and its partners do not service the airport…” Again when this happens, ring up BA and complete the booking over the phone. 4. Inconsistent User Experience. The easy to use search I discussed earlier in this post can be accessed right after you log in. Once you’re logged in if you want to return to it you need to click on the “Executive Club” tab, and then “My Executive Club.” If you instead click on “Home” you’ll return to a paid flight search. You can also search for award tickets by Going to the “Executive Club” tab and then click “Spending Avios.” On the screen which comes up you’ll select, “Search and book a reward flight.” In general I think the site could be cleaned up and reorganized. 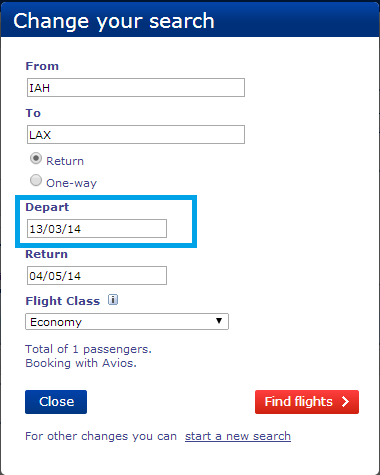 Today’s post is meant to help you step through a basic Avios booking on BritishAirways.com. If you’ve been collecting BA Miles and have been hesitant to use them, give the above booking a try–and then pick flights off of your demand schedule and use those miles. Advantages to booking with Avios extend beyond just saving miles. No Close in booking fees, low cancellation fees, and the possibility of priority boarding and free checked bags will save you money and save you miles. If you’ve got specific questions feel free to leave a comment, or contact me on Twitter, or Facebook. – At https://www.finnair.com go to the “My Bookings” (near bottom) to enter your last name + BA record locator. – Near bottom, change to American and enter your AAdvantage number. – Give it a min or two. Log in to http://www.aa.com and it should appear! Mark: Great tip, and very #BYOE. 😉 Thanks for sharing this one. 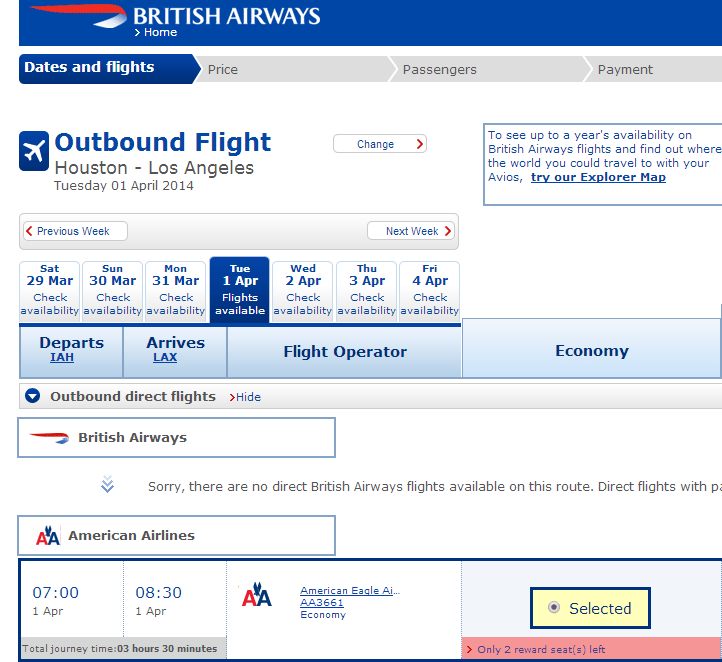 Nichole: Technically yes, you can book BA flights with AA miles. However be cautious using miles on BA flights. Booking BA Flights will mean fuel surcharges–sometimes greater than the price to buy the ticket with cash. Using AA miles you’ll want to focus on other oneworld partners instead of BA to avoid the fuel surcharges. Every time I do a search under “avios reward”, their is nothing available from DFW to CUN? Im checking almost 6 months in advance. Any ideas? Ahmed: Lets work backwards from a day I know has available award seats. Try searching September 24th for DFW to CUN. You should find 4-5 award seats on that day. If you don’t see those flights let me know. 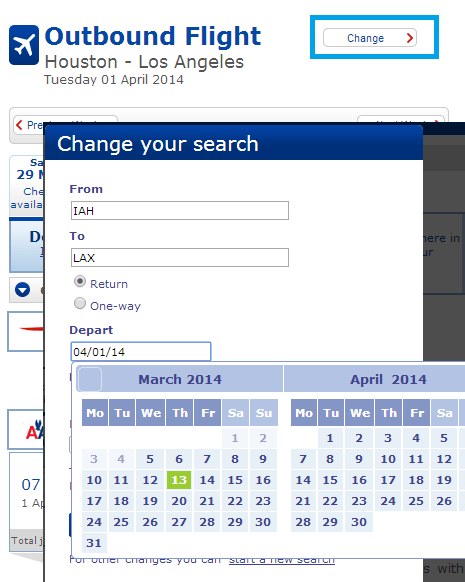 Also you could do the search on alaskaair.com and if you see AA seats there you should be able to book them on ba.com. Let me know. Thank you for the easy to use tutorial. I have earned about 160,000 Avios several years ago through a BA CC. I have tried to book AA flights with those to a number of cities on a number of dates and been unsuccessful. In frustration I gave half to my daughter to book a flight to Europe last fall. She was able to book on BA directly but the cost was essentially the same as paying $ directly due to fees. Now with 80,000 left I am trying to see where I can fly on US Airlines (now AA and Alaskan and USAir) and again Zero flight availability is showing even after Labor Day. In my experience Avios are pretty worthless points.